HTC is launching its latest and greatest handset, dubbed the HTC M7 or HTC One, in parallel events in London and New York. Would HTC be able to regain market share in this competitive industry where Samsung reigns supreme? Announcing its new and latest mobile before the noise of Mobile World Congress 2013 in Barcelona next week, the HTC One goes official with 4.7″ 1080p screen, quad-core CPU. The One is powered by the latest Qualcomm Snapdragon 600 chipset (the same ticking inside the LG Optimus G Pro) utilizing a quad-core 1.7GHz Krait 300 processor, Adreno 320 graphics and 2GB (LPDDR3) of RAM. The more unique features are the BOOM sound, improved speakers. I couldn’t help sniggering when I heard the name, but I would guess the dual front-facing stereo speakers should boost speaker quality by a fair bit and be pretty well received. Another unique feature that we like was the Infra Red sensor on the phone, to use it as a universal remote of sorts. On the software front, the redesigned User Interface looks somewhat like the new Windows Mobile tiles, which isn’t a bad thing. It looks simple to use, with big dynamic pictures to make for an immersive user interface. The new feature, BlinkFeed, isn’t intended to replace standalone apps – such as your Twitter or Facebook client – but act as a gateway to them: tapping a story, which is laid out with dynamically adjusting thumbnail sizes, opens up the relevant app. HTC is working with thousands of service providers to inject geographically appropriate content, which can be selected either by category (e.g. Sport, Technology, Design) or by provider (e.g. CNN, BBC), or turned off altogether so that only local content appears; eventually there’ll be Google+ integration, through it’s not there in the current version, and similarly you won’t be able to add your own RSS sources, at least initially. There are a number of other tweaks, which includes greater emphasis on how smartphones are being used today, with the ease of capturing photos, videos and subsequently sharing them. Termed as Zoes: a combination of a 3.6s video clip (0.6s kept from just before you hit the record button, then 3s from that point on) in 1080p resolution, and twenty burst stills (five before the button is pressed; fifteen after), again at full resolution. The cluster of frames can be used to do face replacing pulling an expression from one frame into another, to piece together a shot where everyone is smiling, for instance – or object-removal, or you can pull out different stills from the video to keep. HTC has also paired with AOL but that’s probably only applicable to North American users of the phone. HTC One will launch running on Android 4.1.2 but the 4.2.2 update is already in the works. 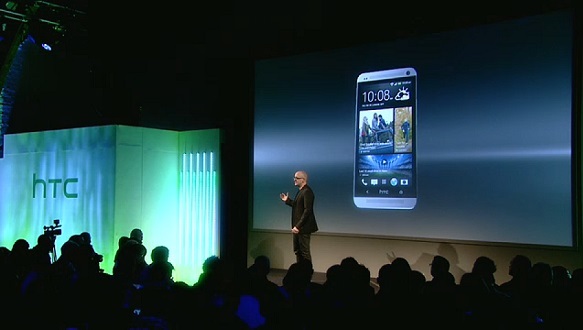 HTC One will be available in black and silver colors and will launch in March this year. HTC has already made deals with 185 carriers worldwide including USA’s AT&T, T-Mobile and Sprint; all major UK carriers and many more, and it would be the same for Singtel / Starhub / M1 as well. We are keeping our fingers crossed for the same March launch date as the Worldwide launch. There is still no info on its retail price, though. 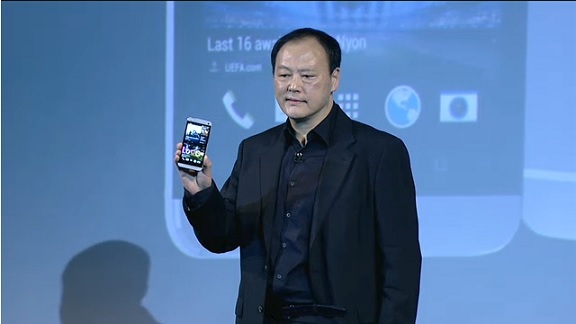 Many would compare the HTC One vs Samsung Galaxy S4, which is anticipated for release come March 14. The HTC One steers away from the current trend of 5 inch phones and focus instead on the user experience. It all makes for an ambitious device, and the HTC One is shaping up to be a strong performer from HTC – arguably its best handset to-date. With sales of the HTC One anticipated to commence from mid-March, that puts it in a good position to prise market share away from the Samsung’s Galaxy S4.